Your path seems to involve not identifying with anything. Is it meaningful at all for you to say I am a Jew or I am a Jewish person? At one time in your life that was a meaningful or true thing to say? Yes, at one time in my life there was confusion (laughter). From that perspective, speaking would be from the perspective of identification, you could say, from some sense of me that was some thing. One of the things I invite people to explore, just to see for themselves, is the difference in saying, “I’m sad,” or “I feel sad,” or “sadness is coming up.” Just noticing the difference between those three—I am sad, I feel sad, and sadness is happening—gives us a sense of different levels of identification. So, is Jewishness ever happening for you? Some people feel that their expanded sense of collective connection is bounded by the Jewish world, their tribal connectedness. One could look at it that way, but then we must ask where did the Jewish world come from? At best, the Jewish world is only five or six thousand years old. It’s not that old in the whole history of life, it’s a blip. Where did we come from before that? Why not include that in our sense of connections? Did you get involved with the anti-apartheid movement? A friend of mine was publishing one of the only underground newspapers in the country. It was so repressive in South Africa that people were expelled from the university just for having a copy. If we were caught printing it or having anything to do with the production, it was definitely jail. There was no question about it. It was a wild time. But for me what made the most sense was to try to get people conscious, to get people out of the narrow window that they were looking through that was about being asleep. I didn’t see psychedelics as drugs anymore; I saw them as medicines. I knew there had been a tradition of people who had used them forever to pierce the veils. To me, that’s what the opportunity seemed to be. Did you take on a new tradition? who was still following somewhat the tradition of Hinduism. But I wasn’t interested in taking on any tradition at all. At one point, I met this Tibetan who lived in California, and he told me his story. When he was very young, he was given to a monastery (which was the tradition). He learned the rituals and all that in the monastery. One day, he heard about a guy sitting in a cave near the monastery so he went there, and this guy transmitted beingness to him. He saw that the whole story that he’d learned his whole life in the monastery was rubbish. He just wasn’t interested in it anymore. He was interested in the living truth. I can so recognize that in myself. It wasn’t anymore about the dressing; it just lost interest for me. Most of my family are fairly traditional. My dad and mom both had large families, so there were lots of cousins around the world. Some of them have gone the route of being really religious. Most of them still observe Friday night candles and all that. I don’t have a problem with it; it’s just not interesting for me. Isaac Shapiro was inititiated into his approach to teaching by Papaji (Sri H. W. L. Poonja), a direct disciple of Bhagavan Sri Ramana Maharshi, widely recognized as a fully awakened being in the Advaita tradition. 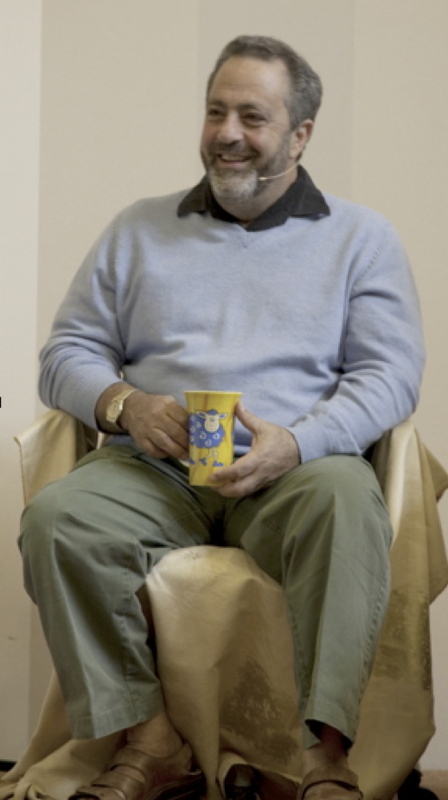 Many audios of Isaac’s talks are available on his website: http://www.isaacshapiro.de/ as well as information on his teaching schedule.